The Weekly Contest: Sonic Adventure XBLA Edition! The winner of last week’s prize of Let’s Tap for the Nintendo Wii is… Kid Pika! Congratulations! This week’s prize will be none other than a redeemable code for the upcoming XBLA release of Sonic Adventure. I’m both excited and a little fearful for this re-release. It will be great to see the game with the 360’s HD output but I haven’t played the game since the Dreamcast launch and while I have only fond memories of the game, I’m worried that its not going to hold up as well as I remember. I do think I’m one of the few people who actually enjoyed the Big the Cat stages so I am looking forward to spending a little time with an obese cat and his pet frog. Speaking of which, do you think Big the Cat is an abusive friend to Froggy and that’s why he’s always running away? I mean Big has to get Froggy back by tricking him into shoving a hook in his mouth. Real friends don’t shove hooks into each other’s mouths. That’s something I learned back in grade school. Why should you care about the Dreamless Dreamcast 24-Hour Marathon? This outta be cool, I loved the original Sonic Adventure on the Dreamcast even though it was rather glitchy and possibly dated by today’s standards. I love on how Sega is brining back their old favourites via XBLA/PSN like this and Crazy Taxi (but may have a few sacrifices due to music licensing). Big and Froggy aren’t really friends. Big thinks of Froggy like a teddy, something to be had, not looked after. Froggy just wants a quiet life. I honestly can’t wait for this to come out. I didn’t get to play Sonic Adventure too much, it was always Sonic Adventure 2 that was my favorite, but this is a pretty awesome prize! And congrats to Kid Pika on the contest!! I recently started replaying it on Dreamcast. Does it hold up? Noooooooot so much. Very cool. I’m psyched to see what it’ll look like on an HD console. My Retro Goggles are snapped on so tight it’s cutting off my circulation. You can’t pull ’em off. Sorry, I’m done with that now. Nice catch ya got there K.P. Hope you enjoy Let’s Tap as much as I do. And hell yes Big the Cat is an abusive “friend.” That frog’s seen things, man. For all we know, Big made frog foo yung out of Froggy’s family and the poor amphibian saw it happen right before his(or her) eyes. One last thing. I’d like to be excluded from the drawing this week. I don’t own a 360 nor do I know anyone else that does and I already have Sonic Adventure DX. Good luck to everyone else. I remember playing the Big the Cat fishing stage demo back in the day at a Best Buy kiosk. I actually did have a little fun with that stage and it helped convince me to buy the game. Yes, I am probably going to buy it again, because I am a double-dipping sheep of a gamer. And yes, Big is abusive. He even rides on his back in Sonic & Sega All Stars Racing (his all-star move). That’s not very kind of him. Congratz to Kid Pika. Game looks interesting but yeah like the most I have it for DC, both 1 and 2. Thought about GC ver just for kicks but yeah… maybe in the future. I won’t link it myself. But if you youtube ‘Frog monkey’ you will see why Froggy needs to get the hell away. Just replace the monkey with Big the Cat. First of all, congrats to Kid Pika! I WILL MAKE LOVE TO THIS WEEK’S CONTEST. SO HARD. 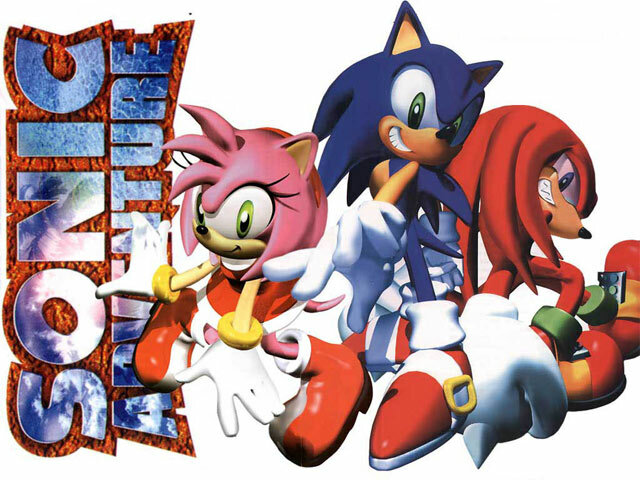 Sonic Adventure was the first game I fired up when I got my Dreamcast (which still works as opposed to going through 6 PS2’s in the same timeframe). This was a greta way to start DC games on XBL but not sure about Crazy Taxi when I can just throw in CT3:High Roller. Ah well, any DC is good DC…except Trickstyle…brrrr! Well I’d like to play this again. A revisit sounds nice! I wonder if it’s based on the DX version? Contest? I’m in to win it. Really want to get this! Sonic Adventure makes me happy!